It was a big problem in my house that, sometimes the Water heater left on for many hours after the use. It has a Thermostat to cut off but when the water cools, again it switches on. This causes hike in electricity bill. Finally I found a solution. Just connected a Timer based alarm with the heater AC socket so that it will also switches on when the heater turns on. After 30 minute, it gives a loud alarm to remind that the heater is On. Alarm continues for another 30 minutes or till the heater is switched off. So that alarm reminds to switch off the water heater. This can be used for Electric Iron also. Make this simple White LED emergency lamp using few components. It can be plugged into the AC socket and it turns on at the moment when power failures. It emits cool white light in the room which is sufficient even for reading purpose. 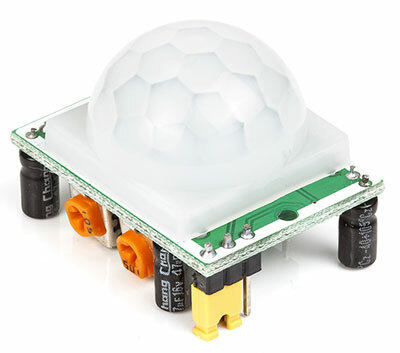 It is powered by a 4.5 volt rechargeable battery and uses 1 watt White LED. Here is an efficient Car battery charger for fast charging the Car battery. It is a 5 Ampere charger with Digital Volt and Ampere Meter to display the charging voltage and current. Since the charger provides maximum 5 Amps current, battery can take high current it needs to charge very fast. As the charging process completes, current flow reduces to zero and will be displayed in the meter. So it is easy to confirm whether the battery is fully charged or not. 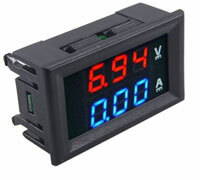 Digital Volt Ampere Meters are now available which can be used in Battery chargers to monitor voltage and current. 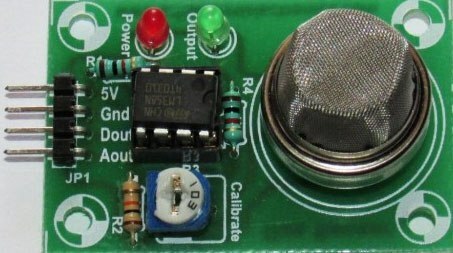 One section of the Meter displays 0 to 100 V DC and the second section displays current 0 to 10 Amperes. The Meter works off 4 to 30 V DC. Let us see how it can be used in a charger….